OHTCCP was started in August 2008 and held its 1st Communal Prayer Session on Sunday September 15th 2008. Since then such Prayer Sessions have been held in hired Community Halls within the County once every month on the second Sunday of the month. A Session starts with a Havan Yajaya which is followed by Bhajan singing in Hindi, Gujarati, Kannada, Bengal and Punjabi. The services provided are valued by Hindus from all parts of India and from the wider Diaspora. 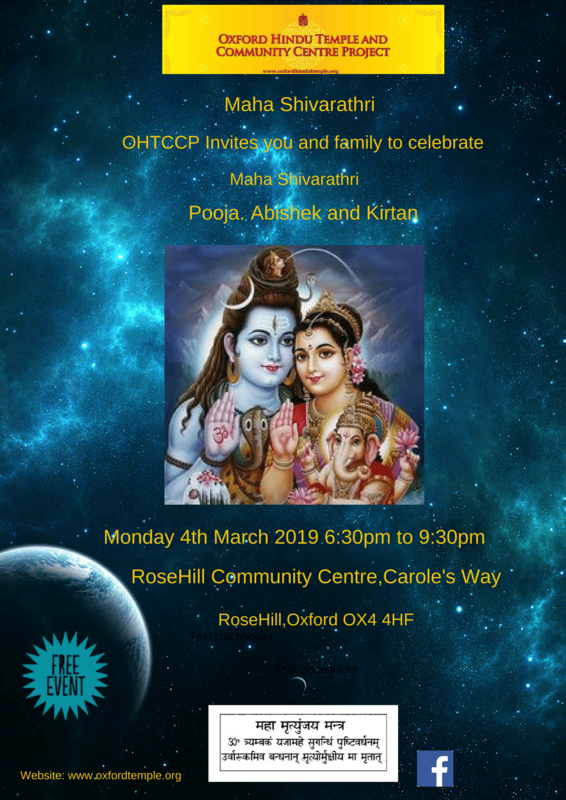 Of all the major faiths of the World Hinduism is the only one not to have a place for Communal Worship in Oxfordshire. In the 2011 UK Census Oxfordshire had 3878 people who had declared themselves as Hindus; we now estimate there are ~10000 Hindus in the County. While second generation Hindus have wholeheartedly adopted the British way of life and culture they still feel something lacking in their lives relating to the Hindu religion and culture. On the other hand the newer recently arrived Hindu families want to practise their religion as they very recently did in India. Sadly the lack of a Hindu Temple in Oxfordshire deprives both these groups. The older generation of Hindus also find it more and more difficult to go long distances – London, Birmingham etc. - to visit a temple for worship. Moreover a Community Centre would provide them a central meeting place. For the younger generation the Centre would provide an opportunity to meet and socialise with other hindus, learn about their religion and culture and assist in passing these values and traditions for generations to come. Apart from the monthly Communal Prayers, various Hindu festivals are celebrated. 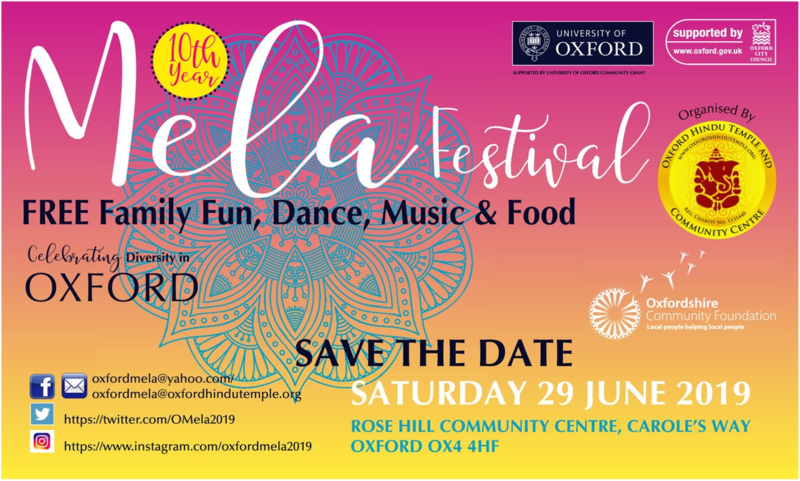 To help Community Integration three Cultural events, where people from all sections of the Community within Oxfordshire join in, are organised – namely, Holi and Basant Celebration, a Summer Mela and a Diwali Dinner Dance – every year. To provide a meeting place geared towards enhancing Spiritual, cultural, social and physical growth based on Hindu principles of duty towards family and society.